Zucchini is a very popular summer squash that can be grown in backyard gardens all over the country. It is easy to grow, a very productive plant can supply many delicious fruits. Harvested zucchini can be eaten raw, cooked, or shredded and added to a number of baked goods. The beautiful flower also can be eaten. New gardeners can hardly go wrong with growing zucchini and seasoned gardeners cannot get enough of it. Select a planting area that provides full sun for best results. The soil needs to be rich and well-drained. Plant at least one week after the season's last frost. Provide enough room to place the zucchini plants 2 to 4 feet apart. Leave 8 to 12 feet between rows. The plants spread out over a large area and each will produce many zucchini, so do not overplant. Use a shovel to add peat, organic compost and well-rotted manure to the soil. Utilize either a rototiller or hoe to cultivate this into the soil at a depth of 12 inches. Make a hole in the soil ½-inch deep with your gloved finger. Place a seed in the hole. Cover with dirt. Supply at least 1 inch of water a week during the growing season. If rainfall is less this, a drip irrigation system or a soaker hose works well and helps in the prevention of disease. 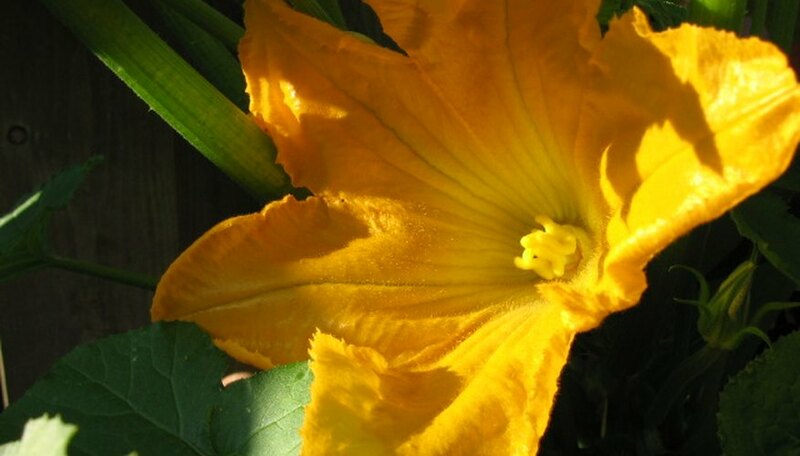 Watch for the zucchini plants to blossom and then fruit. Pick when the size is adequate, about 3 to 4 inches wide and 4 to 6 inches long, and before they become too large. Use pruning shears to cut zucchini from plants. Be careful not to damage the plant or freshly picked fruit. The information about the preparation of soil can be used for most locations. However, for best results, the soil should be tested for its pH level to know exactly what you need to add to it. The best pH level for zucchini is 5.8 to 6.8. It would depend on your level and location as to what should be added to alter this. Contact your local horticultural department or other sources for more detailed information. Picked zucchini can be kept in the refrigerator for a week.